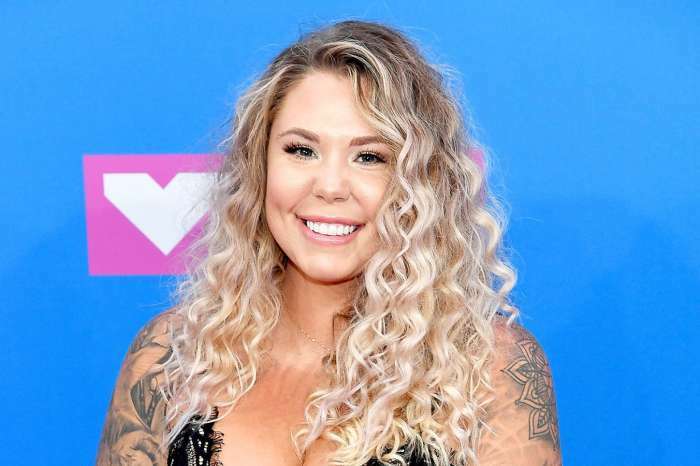 Kailyn Lowry slammed her nemesis and Teen Mom co-star, Jenelle Evans, after she asked for prayers on social media amid Hurricane Florence. But fans of the show believe the mother of three went a bit too far this time around. The hurricane is expected to hit tomorrow morning in North Carolina where Jenelle lives with her family, and she is not planning on evacuating. Instead, she asked her fans for prayers on Instagram. She even posted a pic of her in a bathing suit and a hat with her hands spread widely and smiling at the camera. ‘Pray for the Carolinas. Our linemen. And first responders,’ she wrote over the pic. Seeing the bizarre post given the circumstances, Kailyn just had to shade Jenelle in a post of her own. Soon after, social media users started criticizing her for making fun of her co-star even though she is getting ready to go through a hurricane. ‘You need to grow up. This is not a joke. This is serious,’ one fan commented. But despite the backlash, Kailyn hasn’t deleted her post. In fact, she went ahead and included, in her bio and story, articles about Jenelle’s refusal to evacuate her home and therefore keep her family safe. But while Jenelle is not leaving, more than one million people in North and South Carolina have already evacuated. At least she is prepping for what’s to come! ‘Already have a power outage. ? Trying to wash some clothes and get ready for the hurricane. What else is this day going to consist of? ? ?‍♀️ #HurricaneFlorence,’ Jenelle posted.